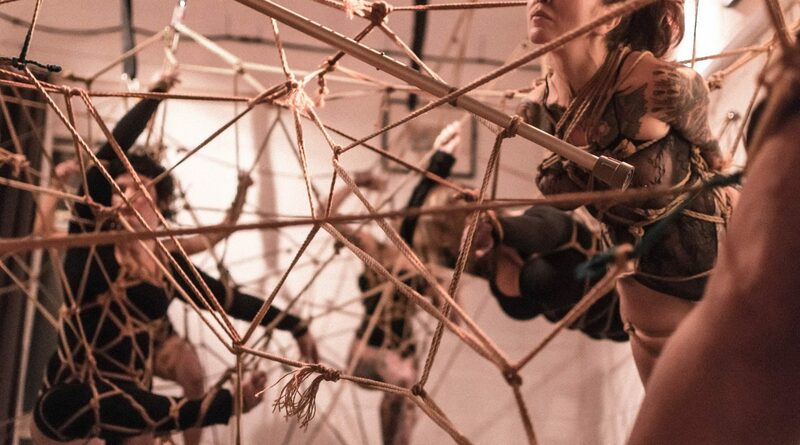 I’ve been having really interesting conversation over the past months about how to promote or create a rope bottom aware community/space so I thought I’d write about some of my current thoughts of the subject since this is something I think about a lot running Anatomie. I really enjoy thinking about how the language we use influences people’s relationship to rope when they first come in. We tend to avoid using labels and roles and try to use descriptives as much as possible, such as : ’the person inside/outside the ropes’, ‘rope partner’, ‘to tie/be tied’ etc. We also focus on rope and body manipulation, how to do it in different ways and how those different ways feel on the body. I feel that this creates an environment where people are free to explore the rope itself as a partnership without having to decide what their relationship to rope is before they’ve tried it. It also means we don’t create assumptions about dynamics right from the start but rather explain that it’s something people can choose to incorporate onto their own rope practice if this feels right. This allows people to explore ropes for themselves and switch if they want to. It also likely helps that 90% of the time the beginner classes are taught by rope bottoms who tie so the natural tendency is for us to talk a lot about what we like and how things feel. Our classes have pre-requisites for riggers and rope bottoms alike. I find that asking rope bottoms to meet certain pre-requisites creates an attitude of personal responsibility and also the sense that rope bottoms are active participants in ropes and that rope bottoming is or can be a skill that one can practice. This is especially valuable in more advanced classes where the learning process for the rigger is heavily dependent on the rope bottoms’ ability to communicate effectively and recognise nerve or circulation impingement, or more subtle things like placements, and recognising different kinds of pain, their limits etc. When we book presenters we request that rope bottoming material is provided in the workshop. This means that any given workshop we put on will have information for rope bottoms as well as riggers. We don’t tend to teach rigging without models present, so we also don’t teach classes on rope bottoming at the exclusion of riggers. We feel very strongly that rope is a partnership and both rigging and bottoming relevant information should be taught in conjunction as one cohesive unit rather than delivering the information separately to each side of the equation. Occasionally we will put on a an event specifically on the topic of rope bottoming, but everyone is allowed/encouraged to attend as the information is relevant for both rigging and bottoming. All of this is a process and will probably keep evolving as we move on, but these are some of my thoughts on the matter at this point in time.